Every year, the average company loses 20 to 40 percent of its customers. Service failures and an inability to successfully handle problems and complaints are a leading cause for this annual exodus, yet less than 10% of companies have a plan of how to respond to customers when things go wrong. The worst word-of-mouth stories about a company often start when a customer experiences a problem. Dissatisfied customers tell an average of 11people about their experience. Suerat Company’s research has found that as much as 11% of a company’s annual revenue is at risk due to poor problem resolution. A customer who goes to the effort to complain, but remains dissatisfied is usually 50% less loyal than someone who did not bother to complain. TARP, Inc. research has found that if a complaint handling system is poor, it will further alienate the customer, resulting in lower repurchase rates. When it comes to complaint handling, the problem is rarely the problem. The company’s response usually ends up being the real “problem.” Service recovery has a significant impact on customer satisfaction because customers are more emotionally involved in and observant of recovery service than in routine or first-time service and are often more dissatisfied by an organization’s failure to recover than by the service failure itself. In his book, The Loyalty Effect, Frederick Reichheld demonstrated that a 5% improvement in customer retention rates will yield between a 25 to 100% increase in profits across a wide range of industries. 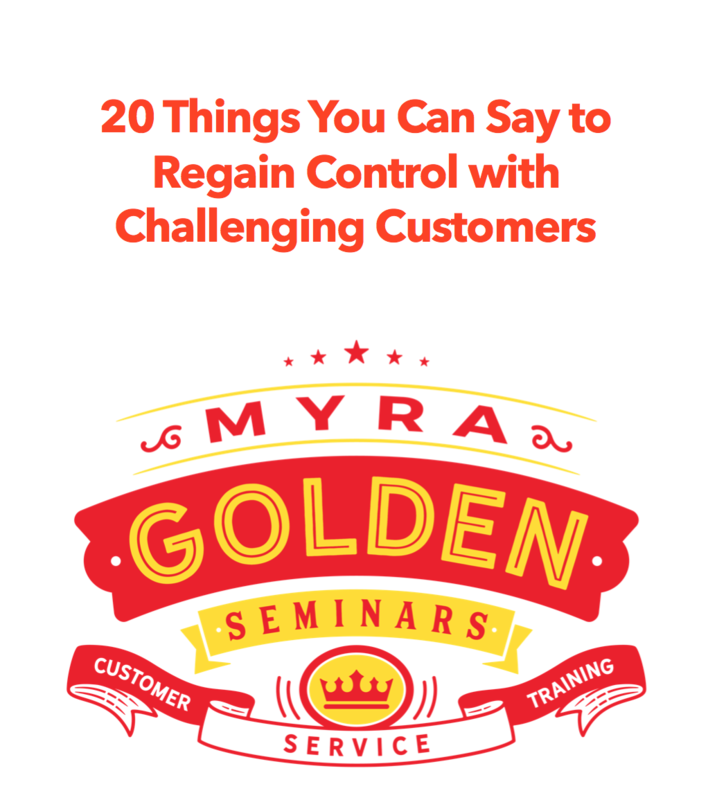 If you can completely regain the goodwill of just 5% of your customers who complain, the payoff can be huge! In A Complaint Is a Gift, authors Janelle Barlow and Claus Moller share compelling research from Polaroid Corporation. Polaroid found that if customers who called to report problems with already purchased camera gear felt satisfied with the response to their problems, they could be sold additional photographic equipment on the same telephone call. They explain, “The telephone representative might say, ‘By the way, we have a new printer on sale for $599,’ and many customers would buy at the same time they were calling to register a complaint.” This is mind-blowing! Given these facts, I am shocked that more companies don’t have a plan of action for how to respond when things go wrong. I am shocked that a company would allow employees to interact with customers without putting them through complaint handling training. And that is why I’ve written this blog post.